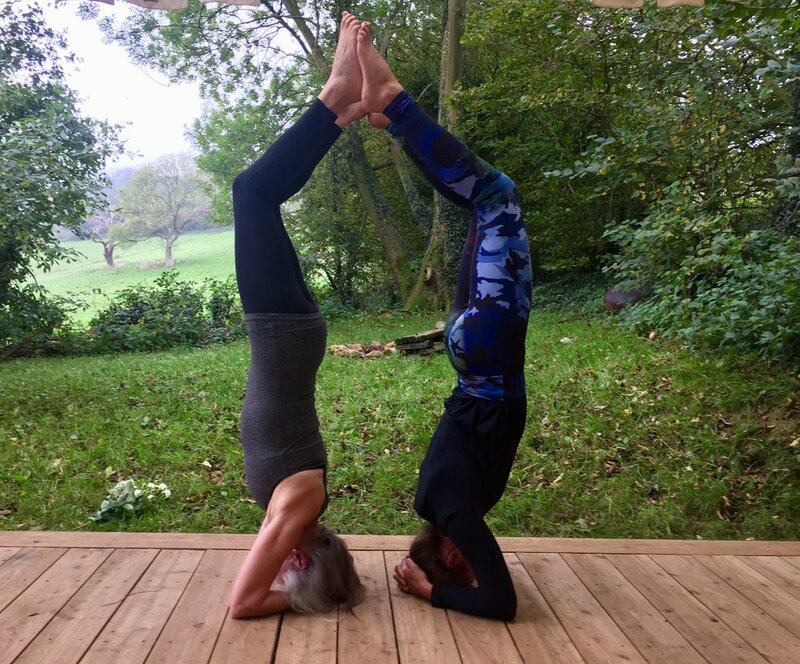 COME TO THE HILLSIDE …Practice yoga in the peace and beauty of a private studio, in small groups or 1-1, led by an experienced practitioner. 90 minute classes of 4 or 5 people provide an opportunity to learn sequences of movement appropriate to your individual needs. 1 hour sessions if you are new to yoga and wish to learn more personally, or to extend and deepen your practice, or if you have an injury and need special attention. I have practiced yoga for over 30 years, experiencing a wide range of different forms, including Hatha, Iyenga and Ashtanga. I am trained and certified as a yoga teacher through Yoga Alliance Professionals, who also insure me. Having experienced first hand the incredible life - changing and healing benefits, I wish to help others to nurture yoga in their lives. Playing with yoga on the verandah of Jake’s Cabin!